Clean squid tentacles and tubes. Massage with sake and shiokoji. Let marinate for more than 15 min. Cook edamame in salted boiling water. (Follow instructions on package) Remove edamame out of pods. Cut celery, leek and asparagus diagonally. Heat oil in a pan. Add all vegetables and a pinch of salt. Cook until tender over medium heat. Add squid just until done, about 1 min. Taste and add salt if necessary. Serve hot. Shiokoji is made of malted rice and salt. It typically comes in a pouch or a bottle. Can be purchased at an Asian market. Naturally enhance umami flavor of meat, seafood and vegetables. Very versatile. 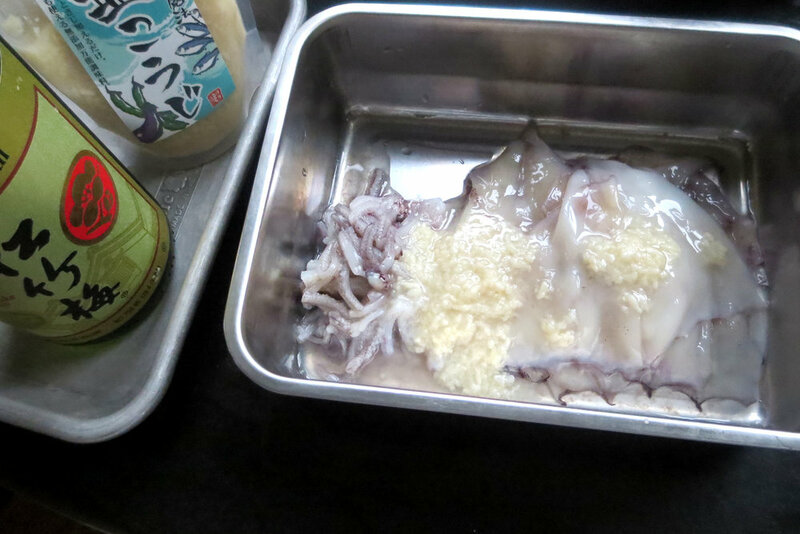 Clean and marinade squid the day prior. Dinner will be ready in several minutes the next day.